Died Nov. 15, 2009 in Nevada County. He was 64. He was born Aug. 22, 1945, in Enid, Oklahoma. On June 12, 1983, he married Ginger Konvalin in Grass Valley. 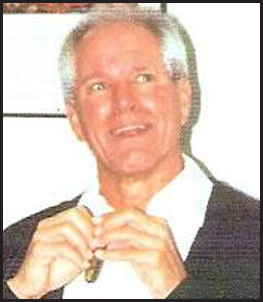 Mr. Doak was a licensed clinical social worker, a master Gestalt therapist and a gifted and skilled trainer in Nevada City, Sacramento and Fresno for 41 years. He was an author and a remarkable trainer of psychotherapists. His knowledge and skill touched the hearts of so many people throughout his career. He was an all-around sportsman, including tennis, running, racquetball, basketball and skiing, and he was an enthusiastic musician. He will be remembered for his laughter that would fill a room with joy. He was a loyal and remarkable friend, and brought deep kindness into his relations with others; his grandchildren called him "Papa". He loved his home in rural Nevada City, and he had a large community of good friends and clients. Mr. Doak is survived by his beloved wife, Ginger Konvalin; children David and Jacob Doak; grandchildren, Julian and Ava Doak; and siblings Nancy Boyce and Tom Doak. Mr. Doak would have wanted any voluntary contributions in his memory sent to the American Cancer Association.